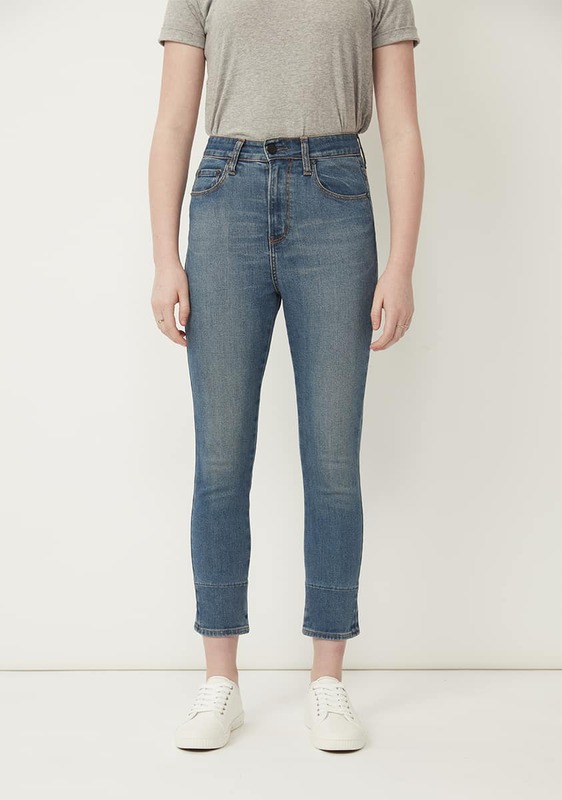 Super cropped length high rise skinny jean. Curved waistband, 5 pocket styling and zip fly closure. With black metal button fastening and vintage rivets. Featuring a hem panel for the optional turn up look. Contrast tobacco colour stitching. Light whiskering, brushing and tint to finish.